Update: Crump Valley Vineyards has closed. 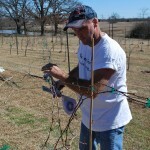 Crump Valley Vineyards is located in Sulphur Springs about four miles south of Downtown and is owned by Travis Crump and Susan Jones. The winery is available by appointment only. There are a few reasons why this is the case. Number one is the winery does not have an adjacent tasting room yet. Another reason is one of the things that complicates matters, especially when it comes to scheduling tastings and tours, is that Travis and Susan both still work regular jobs. 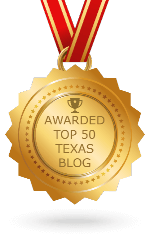 Travis works for the City of Sulphur Springs in Community Development and Susan works for Raytheon in Dallas where she has worked for 26 years. 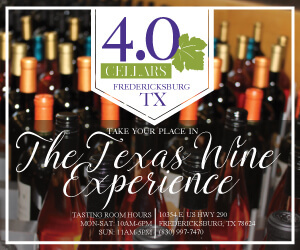 The final reason is the winery recently opened and they are concentrating on getting their Texas wine to be of high quality, consistently made, and also in distribution first, instead of having people come to the winery to buy their wine and then they can never find the wine again. 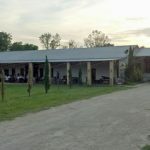 Travis Trump and Susan Jones bought the LouViney Vineyard and Winery in November 2009 and it became Crump Valley Vineyards. Susan Jones was the previous winemaker at LouViney and continues to be the winemaker with Crump Valley Vineyards. LouViney Vineyard and Winery previously helped Red 55 Winery in Lindale make their wines and Crump Valley Vineyards continues to do so. 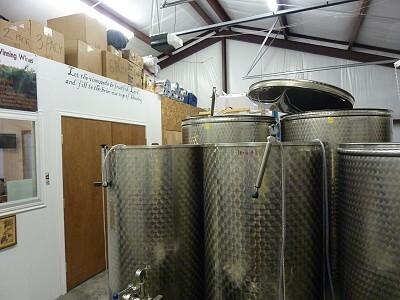 Travis said they are tweaking some of Red 55 Winery’s wine formulas. 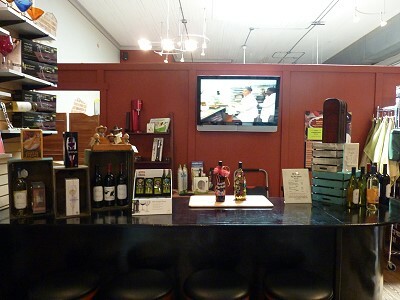 We made an appointment with Crump Valley Vineyards and arranged to meet at the winery. When we arrived, Travis Crump was there and welcomed us into the winery. Unfortunately Susan was in the vineyard and Travis apologized she was unable to be at the winery. 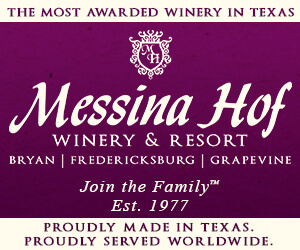 All the grapes used in Crump Valley Vineyards wine come from Texas grapes. 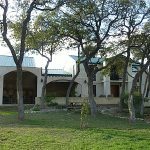 They grow Blanc du Bois grapes on a two acre plot and they also use grapes from other vineyards in Texas. They have a 20 acre plot which they eventually plan on growing grapes, starting with Tempranillo. 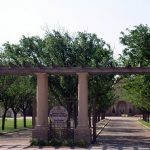 Crump Valley also works a lot with Llano Estacado Winery from Lubbock. 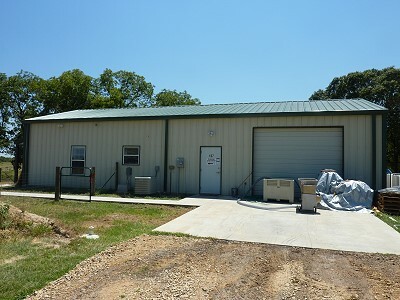 The winery is located on Travis Crump’s farm in a metal building which used to be Travis’ house and the current winery’s production area used to be his hobby shop. Since there isn’t a tasting room inside the winery, Travis had a counter set up with their wines for us to taste within the winery itself with the stainless steel tanks nearby. Even though it wasn’t a real tasting room, the feeling being within the winery doing a tasting was really nice. Travis also brought some cheese and crackers out of their “yeast” refrigerator for us to use during the tasting. He said “yeast” refrigerator because that is where they store the yeast used during the winemaking. Travis uncorked the bottles and poured our tastings from the bottle. 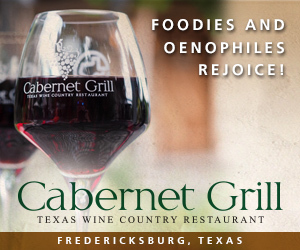 Some Texas Wines made by Crump Valley Vineyards include a Cabernet Sauvignon, Merlot, Chardonnay, plus a few others. We tasted the Cabernet Sauvignon 2009. Travis said they had just moved the 2010 out of the oak barrels and into the stainless tanks getting ready to bottle it, and fortunately we got to taste it. We learned Crump Valley Vineyards uses American oak barrels with French heads, in essence a hybrid barrel which helps smooth out the flavor. Some additional information we learned included during bottling, the winery uses nitrogen before filling the bottles with their Texas wine. 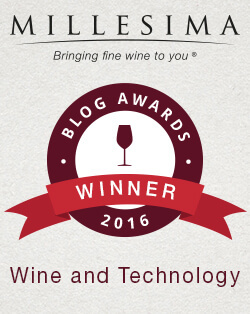 We had previously experienced using argon gas while helping at one winery and other wineries do not use anything. 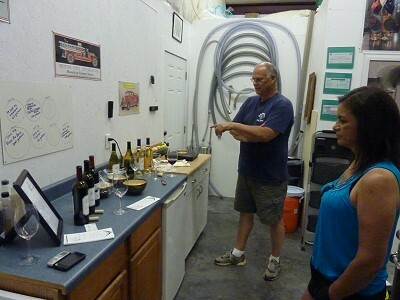 While tasting the Crump Valley wines, Travis said he was not going to bother us and just let us enjoy them. When we got to his Blanc du Bois though, he said he had to watch our faces. He said some people like it and others say it has a different taste. The reason is because they want to finish it like a European Sauvignon Blanc. He wondered if we could tell him what that taste was. Gloria has a better palate than me but after tasting, I said it tasted like grapefruit. He said that was right. I must be getting better! Well maybe so, but Gloria doesn’t really eat grapefruit so she is not familiar with that taste. We had a really nice conversation with Travis including a very common topic, the time and troubles of getting labels approved. We had to ask a few times what the alcohol percentage was on a wine. 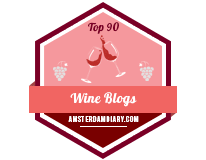 That is because Crump Valley Vineyards do not list an alcohol percentage on their labels. The reason given was if it changes, that means they are in for another two month approval of a label. Travis explained how they hope to have a tasting room available but in the meantime, tastings can be done at the Ladles to Linens store in nearby Winnsboro and also Handy Farms in Scroggins. He said Handy Farms is a winery with an elderly woman who is making watermelon wine. Another winery had mentioned somebody was attempting to make watermelon wine so we assumed it must be the same place. Even though Crump Valley Vineyards is young, they have already won medals at wine competitions in Grapevine, the Houston rodeo, and New York State. We had a great visit with Travis and highly recommend visiting Crump Valley Vineyards if you can arrange a time to visit. 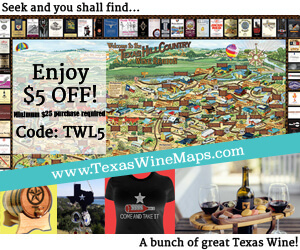 The Crump Valley Texas wine is sold at very reasonable prices. 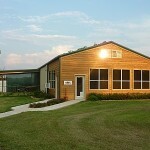 Crump Valley Vineyards is on the Piney Woods Wine Trail. 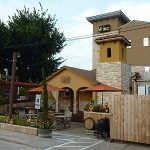 We said goodbye to Travis and since we had some time, we decided to visit both the locations previously mentioned where their wines are sold: Ladles to Linens and Handy Farms. 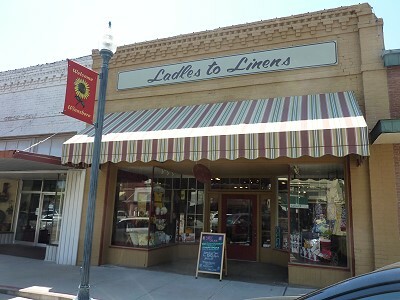 We found Ladles to Linens in Winnsboro and went inside to check it out. It was a nice store and in the back they have a location where you can do tastings of Crump Valley Vineyards wine and also purchase bottles of wine. We then headed off to try and find Handy Farms in Scroggins. Our GPS didn’t direct us to the correct location so we took a chance and eventually found Handy Farms further down the road. Handy Farms advertised “Texas Wine” outside so we were not sure if there was going to be more than just the watermelon wine. Handy Farms has a little nursery with plants in addition to a store. We parked and were met by Melvin Sparks. We explained Travis Crump had told us about them and we had to stop by. 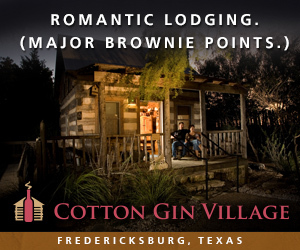 Melvin invited us into the store where we saw they had a number of Texas wines from local wineries in addition to all of Crump Valley Vineyards wines. We mentioned we heard they had watermelon wine. He said his wife was making it but it wasn’t quite ready yet. He called over the intercom to Blanche Sparks, told her about us visiting, and asked her to please bring some watermelon wine for us to sample. Blanche Sparks arrived with some watermelon wine in cups for us to try. She said she really did not want us to try it since it was a few weeks away from being ready and she really wanted to make sure it was good, but she let us try it anyway. Drinking the sample, it definitely tasted like watermelon. Melvin and Blanche Sparks are a very nice elderly couple. We were previously told Blanche was in her 80’s but we did not want to ask her. 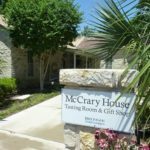 She said they are a true winery and when I got home and checked my Texas Alcoholic Beverage Commission listing, sure enough, Handy Farms and Blanche Sparks was on the list. They are only making the watermelon wine right now. 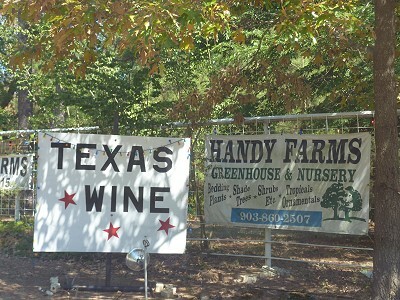 Handy Farms sells Texas wine from other local wineries. One thing Mr. Sparks said was no matter what wine we might be interested in purchasing, he had a tasting for us to ensure we really liked it. That was one thing you don’t usually see in places that sell wine. We had a nice visit with Melvin and Blanche Sparks and if you find your way near Scroggins, we recommend you stop by and visit with the couple.